LONDON, October 11, 2006 – The non-profit online gambling standards and player protection body eCOGRA (eCommerce and Online Gambling Regulation and Assurance) www.ecogra.org has reiterated the critical importance of consistent and monitored standards for professional online casino and poker room operations to ensure players receive a fair gaming experience and good customer service all backed up by a strong dispute mediation service. Andrew Beveridge, the Chief executive of eCOGRA, said that recent legislative developments had the potential to create a situation where players could be vulnerable to underfunded, unregulated and unprincipled gambling sites filling the space left by companies that had felt the need to exclude gamblers from certain territories. 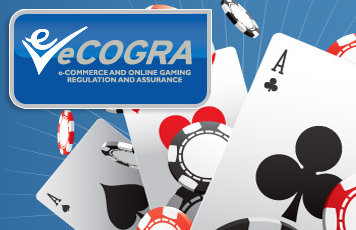 “Professional and integrity-driven conduct to best practice standards by properly monitored online gambling establishments is critical to the future success of the industry,” Beveridge said, urging software providers and operators alike to consider joining standards and player assurance programs such as eCOGRA, where 112 online gaming sites have already committed themselves to responsible codes of conduct. “eCOGRA believes that the regulation of online gambling operators is far more effective and safer for the players than attempts to prohibit a form of Internet entertainment that is popular with literally tens of millions of responsible gamblers around the globe. Our concern is that prohibition rarely works and could allow unregulated operators to take advantage of decent people who have no recourse to a controlling authority,” he said.